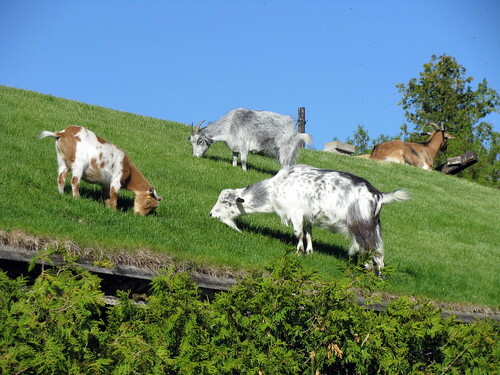 A restaurant in Sister Bay, WI, USA has a unique attraction for alluring customers - It has goats grazing on the sod-covered roof of the restaurant. A sod roof or grass roof is a traditional Scandinavian type of green roof and very aptly the restaurant is named as Al Johnson’s Swedish Restaurant. Although the restaurant has been in existence since 1949 the present structure was imported from Norway in 1973 and around that time, a friend of the founder, Al Jhonson, presented him with a goat. 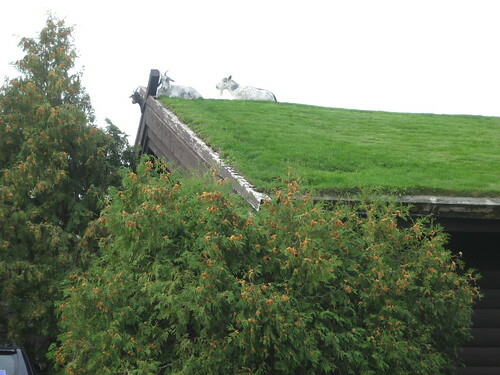 This set the ball rolling and he hit upon the idea of putting few goats on the roof. Soon the news of the restaurant with "Goats on the Roof" spread and he started attracting large number of visitors to his restaurant. 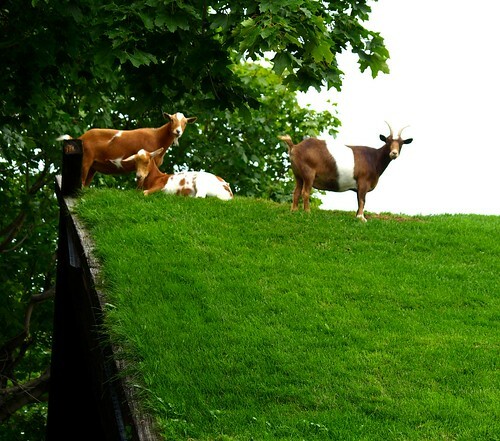 The goats are usually put on the roof during the summer season from around end May till about mid October. There is a special staircase at rear of the building for the goats to climb. In evening the goats are herded in a pickup and taken to a barn near the town. 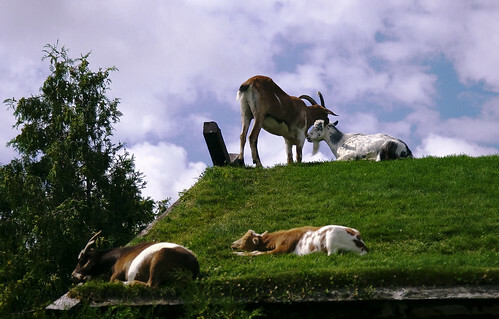 In 1996 the restaurant owner registered the "Goats on the Roof" trademark with right to put goats on a roof to attract customers. Reportedly the owners are very strict about their copyright and have taken few other copy cats to court for violation of their trademarked rights.